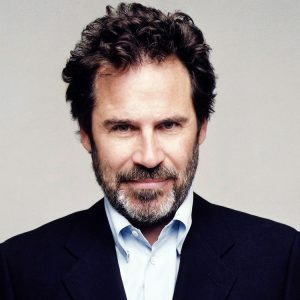 Dennis Miller is a five-time Emmy Award winner for his critically acclaimed, half-hour, live talk show, HBO’s “Dennis Miller Live”. The show aired from April 1994 to August 2002. He also wrote and starred in the Emmy-nominated cable comedy special “Raw Feed”, his sixth such special. He was the host and executive producer of CNBC’s “Dennis Miller”, a topical interview talk show featuring reasoned discourse, opinion and humor. 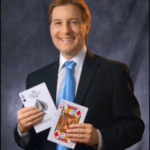 Additionally, Miller has appeared on many politically oriented television talk shows. In October 2001, HarperCollins published the fourth edition of Dennis Miller’s popular rants, “The Rant Zone,”. Miller’s previous books, “I Rant Therefore I Am”, “Ranting Again” and “The Rants” have all been New York Times best sellers. In 2003, Dennis Miller provided regular commentary for the FOX News show Hannity &; Colmes, and began a prime-time show on CNBC in early 2004 called “Dennis Miller”, which aired until May 2005. The show contained a daily news segment called “The Daily Rorschach”, which was reminiscent of his “Weekend Update” segments on “Saturday Night Live”, the show which first won him national recognition. Miller was spotted by “Saturday Night Live” executive producer Lorne Michaels at the Comedy Store in Los Angeles. Michaels auditioned Miller and subsequently offered him the coveted “Weekend Update” slot on the show, a slot that Miller held for six years before leaving the show in 1991. Miller has hosted three HBO specials – “Dennis Miller, Live From Washington”, “Dennis Miller: Black &; White” and “Mr. Miller Goes to Washington”. His special for Comedy Central, “The State of the Union: Undressed”, was nominated for a Cable ACE Award. 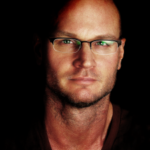 For two seasons, Miller also called the plays alongside Al Michaels and NFL Hall of Fame quarterback Dan Fouts on ABC’s “Monday Night Football”. A former journalism major, Dennis Miller got his start in the late ’70’s, honing his skills in Pittsburgh-area clubs and eventually relocating to New York, where he performed at such famed clubs as Catch A Rising Star and the Comic Strip. He returned to Pittsburgh where he wrote, produced and appeared in more than 100 humorous essays for the syndicated PM Magazine show. He also hosted his own Saturday Morning television program aimed at teenage audiences. By 1982, Dennis Miller was touring the country as a comedy club regular and established himself as one of the funniest comics on the scene.